Kellian Moore was recently in Dubai as part of Virginia Tech's first-place winning FutureHAUS team. 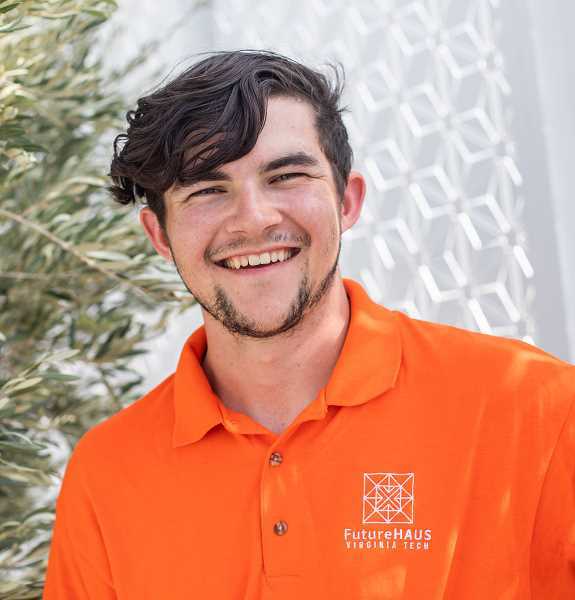 When Culver High School graduate Kellian Moore enrolled at Virginia Tech University, he never thought he'd get sent to Dubai to help build the world's best solar home. Moore, who is currently a junior majoring in architectural engineering at Virginia Tech, became involved with a collaborative team of more than 100 VT students and faculty. 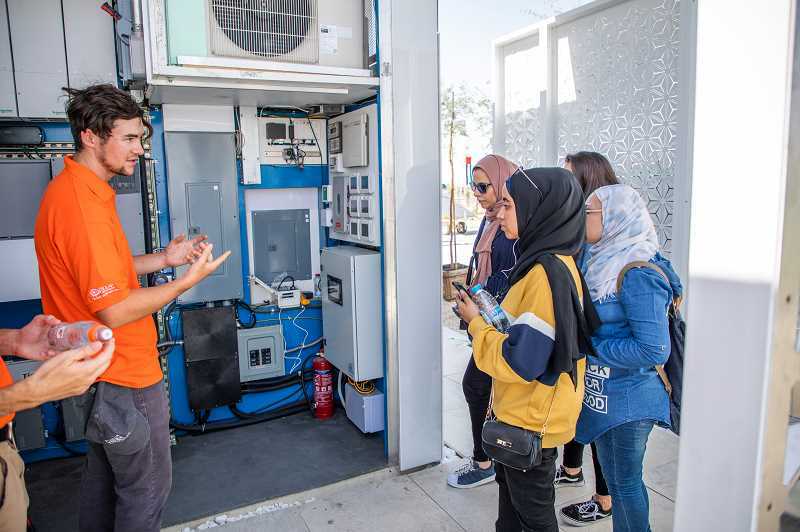 The team was entering the university's "FutureHAUS" concept in the 2018 Solar Decathlon Middle East worldwide competition in Dubai in November. The competition's goal was to promote research on building sustainable, grid-connected solar homes. The VT team was the only U.S. team competing in the global contest, and it garnered the first-place award over 14 other international teams. The contest was sponsored by the U.S. Department of Energy, and the United Arab Emirates' Dubai Electricity and Water Authority. 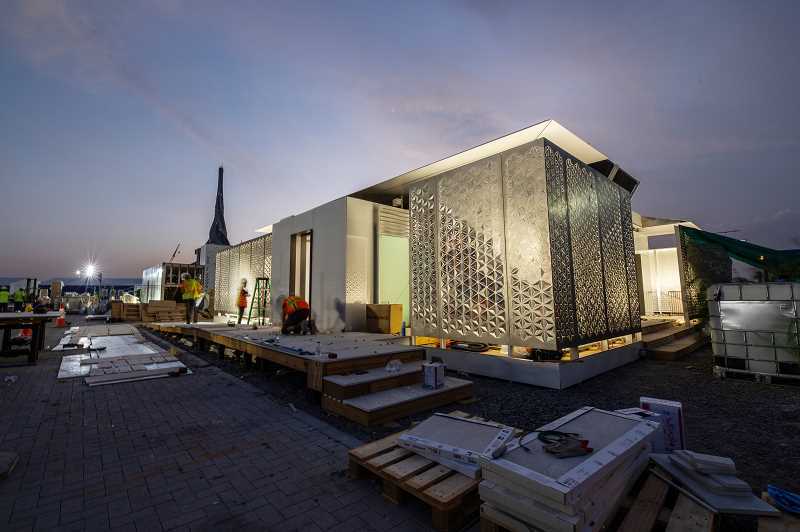 In the past, Solar Decathlons have been held in China, Africa, Europe, and Latin America. Moore said he got involved after having fun in a research class connected to the project his freshman year. FutureHAUS was in the process of being designed, and as it progressed, he wanted to be a part of it. "Last fall, I contacted the project manager and said I had construction experience. I had been working with my father for a long time, who is a contactor in Central Oregon," said Moore, whose parents are Hally and Matt Moore, of Culver. The last time Virginia Tech entered the competition was in 2007, and since then, teams have been perfecting the research for FutureHAUS, which is the name of the VT concept. What made FutureHaus unique, was that it was developed through collaborative research by the colleges of architecture, engineering, construction, business, liberal arts, and science, and department of computer science. "We have the most interdisciplinary team that we've ever had around any research project, and that's what it takes. That's the secret," said Joe Wheeler, architecture professor. Another winning aspect of FutureHAUS is that each area is designed as a self-contained "cartridge" that can be plugged into other cartridges to form a complete house. An electrical spine connects the cartridges and links them to a mechanical room, which contains the electrical, heating, ventilation and air-conditioning systems. Inside, the house is equipped with 67 devices including touch-screen control panels, automatic sliding doors, a smart mirror that helps find clothing, a moveable wall to adjust floor space, and a water measuring sink. 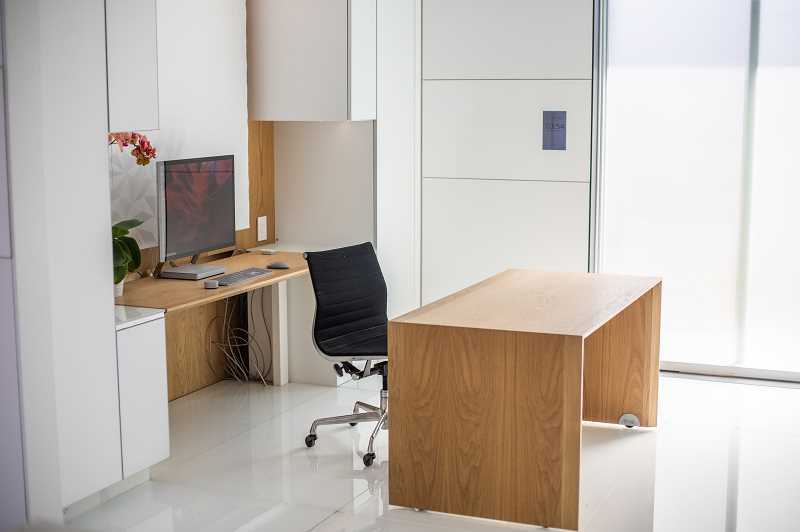 "FutureHAUS was a learning experience and a whole new way of building. We put it together three times, twice in the U.S. and once in Dubai," Moore said of the team's practice. Moore said his area of expertise was the fabrication and assembly of the sliding doors, which were all pocket-style doors. He went to Dubai with the construction team, but he and several others had to return to complete their college studies before the contest was over. "The competition drew a lot of international attention and there were teams from all over – Italy, Romania, Asutralia, Taiwan, Malaysia, and the Middle East. Fifteen teams competed in Dubai and I got to see the other houses," he said. "None of them were like FutureHAUS. Our entire house and tools to construct it were packed onto five flatbed trailers. It's built on a cartridge concept, where each part is self-contained, and the floors fold up to make their own shipping container," Moore said, adding, "No other team had a concept as well-defined and were as practiced as we were." "We put the structure together in 1 1/2 days, and had it all finished in two weeks," he said of the interior and exterior. While they were working, the weather in Dubai was in the mid-80s to 90s, and Moore said one of his favorite parts of the house was the patio space, which was shaded by 35-year-old olive trees as part of the design. "It was a great place to sit behind a privacy screen, where it was cool and you didn't feel the wind," he said. Asked if he expected the VT team to win the top award, Moore said, "There were times when I had my second guesses. Overall, I thought we had very good chances of winning. We had the architecture, energy, and green transportation concepts down. But the project management and execution in Dubai were lacking, and that's where it fell to us students to make sure things went smoothly," he said, admitting, "I had several disagreements with the project managers." After obtaining a degree in architectural engineering, Moore said he would like to bring new ideas back to the West Coast and start his own firm someday. "I'd like to bring more architectural art to the area. I feel I could have an effect, being from the Northwest. In the West, people build what they need – so why not build something great?" he suggested. Of his adventure in Dubai, which has architectural wonders of its own, Moore said, "The best part was getting to be in a different part of the world and see what it was like. And that some kid from Culver could go all the way to the Middle East and play a part in building a house on an international scale, and have it win!"